Just a few days after launching 3G services in Punjab, Airtel has now launched 4G LTE services in Jalandhar. 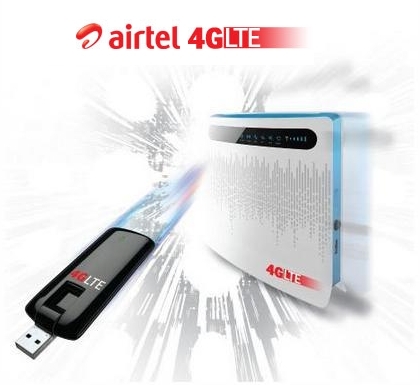 Bharti Airtel has announced that it has started rolling out 4G LTE services in Jalandhar, Punjab. The service can be availed on dongles, Wi-Fi CPEs (Customer Premise Equipment/ routers) and mobile phones. There is also a special value pack of Rs. 999 (post-paid users) and Rs. 995 (prepaid users) which offers 10 GB of 4G data. Customers planning on availing the 4G services will be required to upgrade to the USIM which comes free with the purchase of dongle (Rs. 1500) or CPE (Rs. 2500) and is priced at Rs 49 for mobile users. Airtel has also set up special demo zones and kiosks at the Airtel Office at 342, New Jawahar Nagar, Jalandhar for customers to experience live demos.